This saying just cracks me up!!! 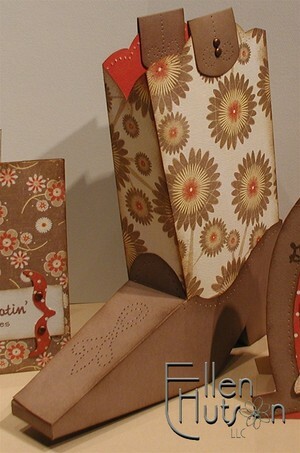 So we have boots and "she was good with rope", now we are getting garden clogs and "gardeners know the best dirt". This is one of the images that makes me LOL. I love to garden and this saying... well it's just plain funny. These are just two of the awesome designs from the new release that is coming in TWELVE days!!! That's right - yesterday was day 13 and as of today there are only 12 days remaining. 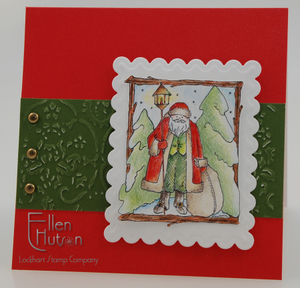 Between now and then I am going to try and give you a sneak peak at some of the wonderful new additions to the Lockhart Stamp Company collection. I'll be sharing different ways to use these stamps, as well as hold a drawing or two, play some games, etc. and most importantly once again offer you the opportunity to place your orders on Friday the 13th receiving a 13% discount on your entire order for 13 hours! So stay tuned for fun and announcements as we count down to the new release. Rather then a card I wanted to make something a little atypical - I thought that this image could make the cutest little plaque to go above someone's garden bench. Being that I didn't have the time to do what is in my mind (I hope to actually pull this idea off before the 13th, but... wish me luck - LOL!) I took the easy road. Using the wonderful blank coasters that are aplenty in the market place right now I turned it into a little "piece of art". I utilized the Beach Collection of papers as my starting point for color reference. 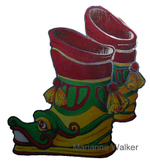 Using the smallest stylus in this collection to create the diagonal pattern on the clogs (for a wonderful tutorial visit the Lockhart Stamp Company and see Karen's work here), then coloring with Prismacolor pencils I colored over the top allowing the white debossed area to pop out. With a little creative cutting, the sentiment stamped on twill using a Fabrico Craft Inkpad, and some little clips from the Target $1 spot (I have been hoarding these far too long :D) I ended up with a cut little wall plaque to share with a gardening friend. Did you notice the number 13? Do you have any guesses as to what that means? July is going to be a month that brings MANY awesome new surprises! Some have been mentioned already and there are LOTS more to come. I am actually having the absolute hardest time not shouting from the rooftops what I have been up to and this is the month that the announcement gets made!!! Let the countdown begin! Happy Canada Day to my fellow Canadians!!! Celebrate your freedom and enjoy your family and friends! July has so many things to look forwards to - celebrating our freedom is probably the most incredible of them all. There is nothing better then a sunny, fun-filled day spent with family. The stamp I have selected for this month's packet is brand, spankin' new!!! I am so thrilled to be releasing "Packages" a few days early and giving you the opportunity to purchase it together with supplies to start on those Christmas cards. I know, I know - Christmas in July - what's up with that?!? 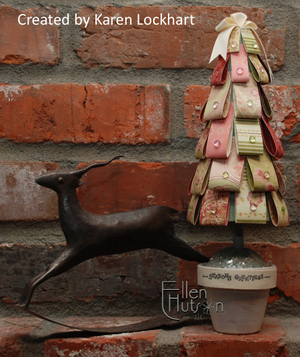 As an interior designer it was always fascinating to watch the gift shows start their Christmas promotions in JULY! So as I thought about it I began to ponder the idea of starting a series of Christmas card projects now, so that hopefully come December you are completely ready to roll! Is it a good idea or a bad? I don't know, but I do know that these little packages are SO much fun to color. As you can see in the card above you can choose your occasion to celebrate just by selecting a color scheme that coordinates. At some point this month I hope to change these little packages into a Christmas Tree, just by adding a "trunk" - how cute will that be? The possibilities are endless. 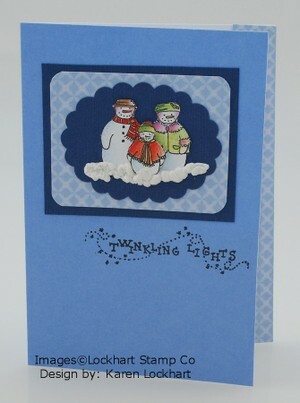 So to start the process of creating some of those Christmas cards, here is a little inspiration to get you started. 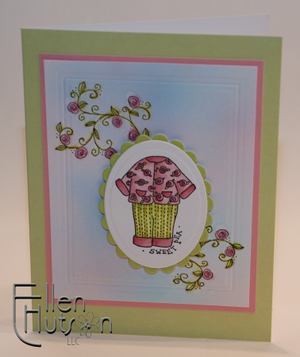 This card was made utilizing July's Stamp of the Month Packet. 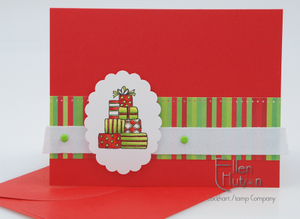 You can see the variety of papers in the Christmas Brights collection by browsing my store here. To speed the coloring process I used the brush tip of my sketch markers to color in these little packages. I have had the opportunity of trying the different tips available and I must admit that the brush is by far my favorite tip. 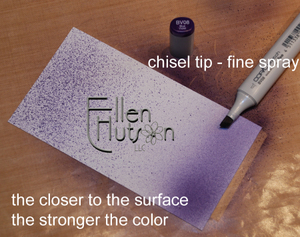 I can get in the tightest of places with this tip and am able to color quickly and easily. After layering the colors, once again starting with the lightest color working to the darkest, and then coming back in with the lightest color to blend them all and make a smooth transition, I highlighted the ribbons with a little shimmer of glitter. Now the packages sparkle and are ready to be presented to some lucky person. Another suggestion that I am going to bring back around is the idea of putting your twill tape through the printer. This post explains how to do that - I didn't do it on this card because I only wanted to use the items in the kit, but will probably do another at some point this month to once again show this novel concept. Well ladies, it's the last day of June - and therefore the last few hours of the Scor-It promotion. If you have yet to purchase this awesome tool I highly recommend that you do so before midnight tonight. Remember to enter the following in the promo code area to receive the special pricing of $49.95: SCORIT! I tried to share this post last night, but Typepad was down for service and this morning just got away from me once again. So here is my inspiration for this awesome tool. I love to use the Scor-It to add texture to my projects as shown with the additional scored lines on this cute little pouch. These little pouches can come in handy for giving treats to teachers or others in your life who you just want to share something small in a special way. 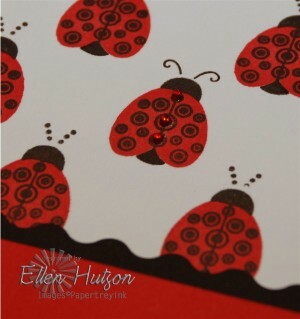 Simply cut a piece of Holly Berry cardstock 4"w x 11"l. Score and fold in half. Cut each side at an angle beginning 1 3/4" up from fold and 1/2" on top edge. This will make the top of the pouch a total width of 2 1/2". 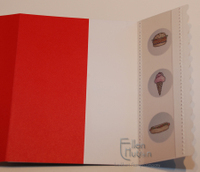 Add a strip of decorative paper from the brand spankin' new Basic Grey Infuse 6x6 Paper Pads to each end. Trim the ends with decorative scissors, or if you are fortunate enought to own a Create-a-Cut use one of the decorative blades. Then score at 1/2", 1 1/8", 3 3/4", 4", 4 5/8", 5 1/2". 6 3/8", 7. 7 1/4", and 10 1/2" - folding at the scores highlighted in red. Add another decorative strip of Infuse along front bottom edge of pouch as shown. Stamp Scallops with Snow Peas on Solar White cardstock using Brilliance Black or Adirondack Pitch Black. I then colored in the image using my COPIC markers. When I color using these markers I like to start by laying down my lightest color over the entire area. 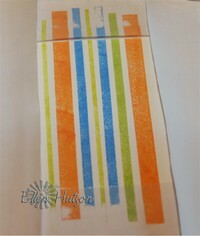 This moistens my cardstock and allows me to blend the other colors easier. I work from light to dark and hope to share a step by step process as time gets closer to the markers arriving in my store. 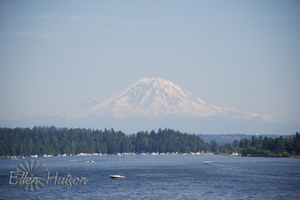 Right now I am just scrambling each day to get a project up here to inspire you - LOL! and I forgot to take progressive pictures of this one. So sorry. Here is a closeup of the colored image. I then punched out the image with my mega scalloped oval (I do have some Giga Scalloped Ovals and Giga Scalloped Circles still in stock if you are looking for these) attached it to the pouch front and used my piercing tool to add the "dots" around the image. I pierced through all the layers, inserting an 11" piece of wire utilizing it as a little handle. The wire is intended to replicate the feel of the dress hanger with beads added for decoration. Well I'm off - lots more to do today! 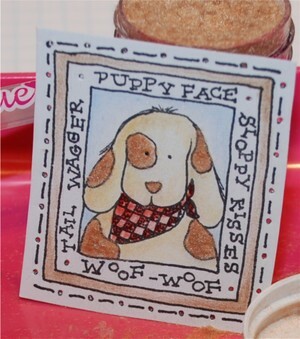 Jasper needs to get some shots, I need to upload the new Stamp of the Month and July Stamp of the Month Packet. So I'll be back later :D Have a wonderful remainder to your Saturday! As an artist at heart the one challenge I gave myself was to color - I REALLY wanted to color these images and try and replicate the beauty of the original pieces in my own way. So, I'm NO Thomas Kinkade - LOL!, but I had fun and I hope that the pictures that I took as I went through my coloring process will be helpful to anyone who is like myself and just wants to try it!!! The best ink coverage I achieved with these "photo-like" stamps was obtained by using my brayer. First I rolled the brayer on my ink pad (I love the Adirondack inks and used Pesto for all of my colored pieces) and then rolled that ink on to the stamp surface. 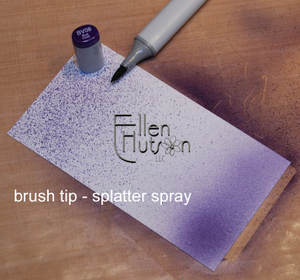 This allowed me to get smooth, even coverage without glopping on too much ink. 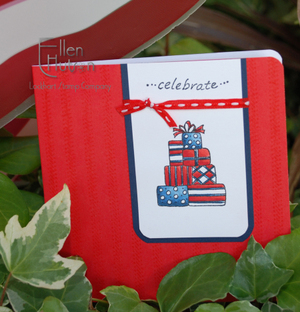 For this piece I used Confetti White cardstock (this is the name that Stampin' Up! uses - I can't remember off hand what the original manufacturer's name is, but I'll add it here when it comes to me). I buy this stuff in bulk now being that I love this surface for watercoloring. 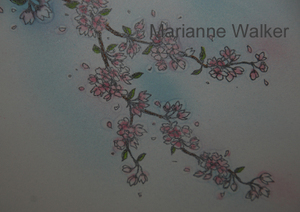 It also worked great here with the Prismacolor pencils, allowing me to give an aged quality to the final piece. 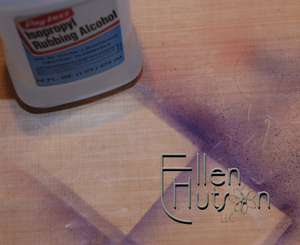 The most important tip I can give is to define your edges as you begin the coloring process. If you select a color tone that will blend with the finished project you can actually do a light outline of some of the areas that are harder to determine. I prefer to work from light to dark. I will color my lighter tones first and begin defining entire areas with the lightest of colors. Adding in the "streams" of light helped me to envision where the sun was coming from. It is as if the sky between the trees has the sun either rising (or setting - I'm guessing it is rising - do fishermen get up at the crack of dawn??? I don't know - LOL! 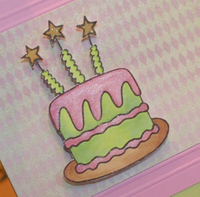 ), but the addition of the pinks to the yellows just gave this piece an amazing glow. By adding layers of colors it allows me to "see" if I am in the right color families as well as it gives amazing depth to the finished piece. I also use a "system" of working my layers from the top of the piece to the bottom of the piece. I do not finish it the first time through, nor the second - maybe it's the third, fourth, or fifth - LOL! I just keep adding color until it feels right to me. Just keep adding those layers of color. I kid you not when I realized that I used close to 35 Prismacolor pencils for this project and believe it or not I used those grays, loads of the grays - LOL! I forgot to write down the colors I used for this project, but I did make a list for the Make a Wish Cottage that I hope to share with you soon. This last picture shows what happens when you add subtle changes. I don't know if you realize that the most defining detail is the shadow extending from his feet. I had a feeling that something was missing and then it dawned on me - hello Ellen... you need his shadow - LOL! Being that I just can't leave well enough alone I had to turn this into "something" and so I pulled out my sewing machine and made this little luggage tag from faux leather (pleather). I know, I know - a little over the top, but fun none-the-less. I just couldn't help myself. I thought this would make the neatest gift tag for some special male. There is so much scoop that I'm guessing you will spend hours delving in to the goodies that await. Again a huge thanks to Richard and Liz, as well as my dear friend Lis for all their incredible work!!! Strawberry Jam and SO MUCH MORE! 1. 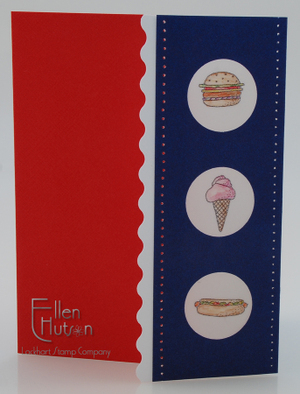 Memory Box Cardstock and more colors of Notecards and Envelopes are finally uploaded to the store! This cardstock is the same quality as the notecards. Memory Box is commited to making as little impact as possible to the environment. Their paper is made by a mill that uses certified sustainable forests for it's pulp. The paper is then printed with environmentally responsible soy-based ink. The paper has a beautiful, crisp white side and the opposite side is a selection of delicious colors that make me hungry - LOL! 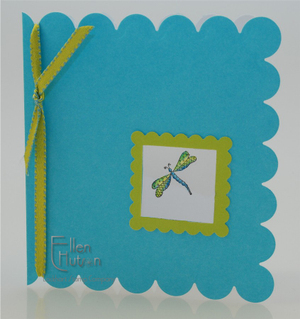 We have also added a list of coordinating cardstock and note card colors to the Memory Box 6x6 patterned paper lists. You can see an example of this here. More information is being added all the time to the website details, but at least it's a start. Some of the colors are missing and some need a little adjustment, but we are working on it and hope to have it all going 100% soon. Please remember that color can vary from computer screen to computer screen and that the images are the truest representation to the color that we are able to supply. More information will be added as to what other items coordinate with these colors to help make your shopping experience and color recognition easier. We are constantly working to upgrade information and hope to finish these projects over the course of the summer. 2. I say "we" because I have some wonderful helpers now! I would like to introduce you to Malena, Katelyn and Kelcie. They are an integral part of our team here - packing orders, upgrading computer information, making phone calls and trying to bring the same level of service that we have provided from the very first day. Being that they are all new I am trying to be certain that everything goes smoothly, but as with all things new there is a learning curve. I thank you for your patience with us during this transition. I plan on introducing the other amazing team players here soon. We are working on bio's and doing our best to just make each day happen with customer service being our primary concern! 3. Don't forget that there are a few days left to get your recipes in the mail for the Lockhart recipe contest. Delicious Pacific Northwest Treats await some lucky lady! So send in your entry now. 1. More AMAZING Lockhart stamps!!! You will not believe your eyes - these are incredible! Karen has truly outdone herself with the Fall and Holiday line-up. It is killing me not to share all the details, but as with all good things I must be patient and follow the guidelines - LOL! BUT she did listen to us and again has added to some of the amazing collections that are well loved! In addition she has started some new ones that are going to blow your socks off! Yippie - July will be here soon! 2. 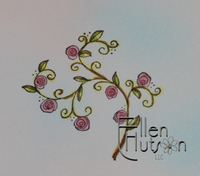 After much hard work and long hours a new "Designer Set" of Copic Sketch Markers will be available for purchase through the Ellen Hutson webstore!!! It was not an easy decision, but after much consultation, consideration and play time I have put together a list of 48 colors that will be made available to you soon. Now by soon that means some time in July - LOL! It takes a while to get all the "stuff" done, but I can assure you that much thought and preparation has gone into selecting these colors. 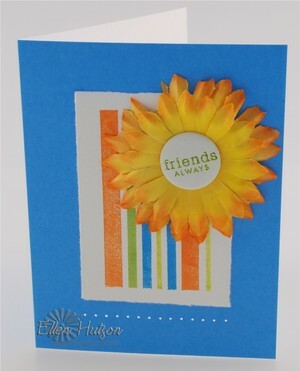 Some are coordinates to the popular Stampin' Up! colors, but not all. In order to fill the "holes" that seem to arise when coloring, it was important to "give up" some colors to make the set truly work for you. Karen Lockhart and myself have been working together closely with the Copic representatives (THANK YOU Marianne) and we feel extremely confident that the colors that we have selected will have a universal appeal. When you have 330 colors to select from in the first place it is no easy task breaking it down into "48 you can't live without these colors" group - LOL! They will be available in 4 sets of 12, as well as 2 sets of 24. More details and projects and how-to's will be following in the upcoming weeks and I'm delighted to tell you that we are putting together an incredible group of talented individuals to showcase this product's amazing features and versatility. Just wait until you see the cool things you can do with these markers!!! 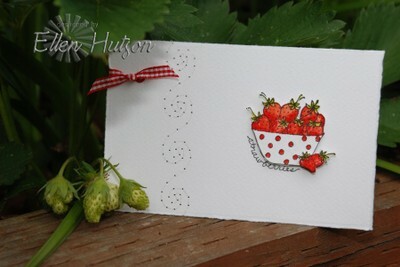 So here you have my latest creation for another idea using the strawberry stamp. 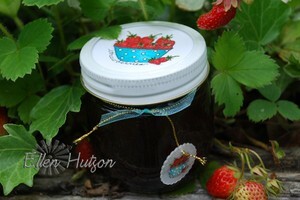 I love to make strawberry jam and have been known to give it as a hostess gift or Christmas gift. This is just a fun little idea that you can use as a starting point in presenting your homemade preserves as a gift item. To create the little dangley charm, I sanded some Translucent PolyShrink (details on how to sand). Using my Mega Scalloped Circle I punched through the PolyShrink - this was no easy task and I don't know that I can completely endorse this, being that I don't want to be responsible for any broken punches - LOL! I then stamped the image using Black Brilliance ink. After allowing the image to airdry and then using Prismacolor color pencils to color the image to coordinate with the Strawberry Jam topper I punched a hole for the cording and then followed the directions, shrinking it to this darling little charm. The last step was adding a few white dots to add a little texture to the otherwise smooth surface using the white Souffle pen. You could also place stamped tissue paper between the sealed lid and the ring for a completely different look. Back in the "good 'ole days" my DH roomed with a group of his buddies in a house in Ann Arbour. The amazing thing about this group of guys was that they took turns cooking - can you believe it?!? Jim, (unfortunately Jim is not my DH - LOL - we could use a good cook around here now that I've become so busy!) apparently was quite the gourmet chef and J.J. still talks and laughs about his role of being the shopper because he couldn't cook and had the car with the biggest trunk. He would go in search of the finest ingredients (yep, we are talking saffron here) to enable Jim to cook fine delicacies. This recipe was one of the dishes that Jim would create and my husband was so excited about it that he began the quest to locate the recipe book after we were married, going into bookstores to try and find that specific cookbook - "A Taste of Oregon", by the Junior League of Eugene, OR. He succeeded and on rare occasions I make this fabulous recipe for him (and usually guests). This is a shortened version of that recipe being that I was trying to fit ALL that information on the recipe card front - LOL! 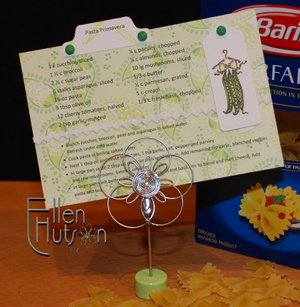 To create this card I knew that I just had to use the Pasta with Peas stamp - it was perfect for this recipe!!! The next item on the agenda was to figure out how I wanted to present the recipe. 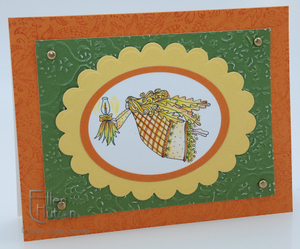 I LOVE vibrant colors and remembered this paper from the Memory Box Elegant Holiday 6x6 paper pack. Being that the requirement is a 4x6 card I easily cut off 2" and voila had my recipe card face. OK, so it's a little busy, but it certainly does make me hungry for this yummy recipe! 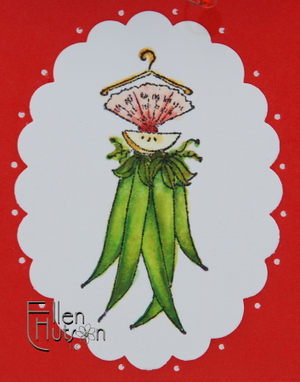 To define the stamped image, being this is a contest all about the way the recipe card looks - LOL - I used these awesome Spellbinder Tags. 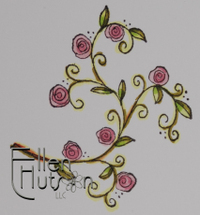 Debbie Olson has done a wonderful job of describing the formula for using the dies in both the Cuttlebug and the Big Shot, so I am going to connect you directly to the directions that she shared that she received from Spellbinders. 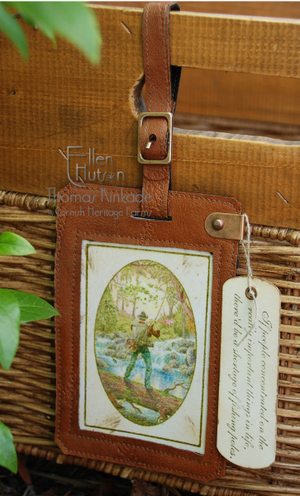 Please just double click on this link to take you to those directions for cutting and embossing these cool tags. I hope to eventually have a special place here on my blog that lists the many different sandwiches that are available for the different machines and how to use the Spellbinder products, as well as information regarding the Wizard machine itself. BUT that is a whole other post that I hope to create after I visit with them at their headquarters next week! Good things are coming and you will not believe your eyes - so hold on to your hats and please be patient with me!!! A little trick for those of you who have already purchased Copic markers is that you can touch the tip of one of your darker colored markers to the colorless blender, thus transferring color to that marker. Then when you lay it down on your creation it is a lighter version of that same color. With just a little coloring and then coloring off on a piece of scrap paper your colorless blender becomes clear again. This enables you to create colors in a much lighter version :D The other little tip I would like to share is the adding of the C1 shadow - it is barely seen and yet it creates such depth to the image IRL. OK - enough chitter, chatter! 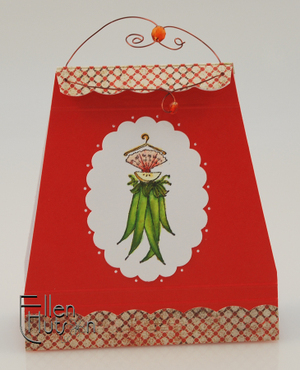 I added a little white rick rack to define the directions from the ingredients, punched out the recipe title using the McGill File Folder punch, stamping the IB Peas to create interest, added some Karen Foster brads that look like little green peas and called it finished. So come join in the fun and share your delicious creations with us! (AND do not worry - Debbie, Michelle and my creations are for your viewing pleasure and inspiration - they will not be entered in the contest :D). So have some fun, get creative and prepare a feast for our eyes! As you all know I LOVE tools :D One of the tools that I use on a daily basis is my Scor-It. In fact one of the very first posts that I created on my blog was in regards to the Scor-It. At that time I compared a piece of paper that was scored using the traditional Fiskars scoring blade and one using the Scor-It - you can see that comparison here. Be certain to click on that itty bitty picture, because otherwise you might need a microscope to detect the differences - LOL! The difference in person is incredible - I no longer have cracked paper, even when using white core cardstock. I also have perfectly crisp folds that allow me to design the precise and intricate templates that I have become known for. The reason behind this is that the Scor-It produces a true hinge score by hand, comparable to a score produced on a letterpress machine. Not only can you create professional scores easily, but you can use it to add embossed accents to your projects with ease. I am also laughing at the timing of this post - being it is exactly one year ago that I posted my little tidbit proclaiming that you all need a Scor-It. Since that time the Scor-It has become an invaluable tool in the creating of many of my projects. I am honored to have been asked by the Hammonds Group to create the project of the month for Scor-It. 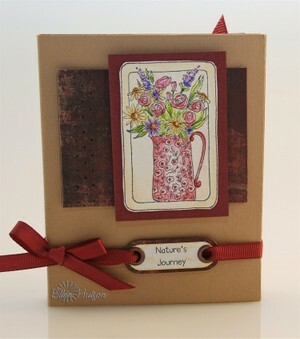 Nature's Journey Garden Journal was created to show several features of the Scor-It that I have come to enjoy and count on. 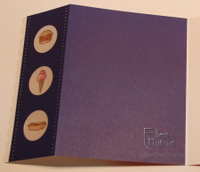 First I wanted to show that you can score through two layers of cardstock - this allows you to create a template that actually "fits" together beautifully. Secondly I wanted to show how piercing can truly enhance the beautiful scored lines that can embellish your scored creations. Last I wanted to share how you can use the Scor-It to embellish your projects with scored lines. Be certain to double-click on any of the pictures in the tutorial to view a larger version and actually see the detail. You will also find templates available to recreate the project. Being that I frequently am asked for the resources that I use to put together projects I thought I would assemble a few kits to have available for those who would like to go ahead and try and complete the project as shown. These are available on a limited basis and so if you would like to purchase the materials to put this project together you can find the complete kit available in my online store. During the month of June I would also like to offer a special promotional code for the Scor-It Scoring Board - upon check-out enter the word SCORIT! to receive a one-time only price of $49.95 for this amazing little tool. It doesn't look like much when you take it out of the box, but it will become indispensible upon it's arrival in your home. Watch for a few more projects to come in the very near future in which the Scor-It has been an extremely important part of the creating process. Strawberries are one of my family's favorite fruits. 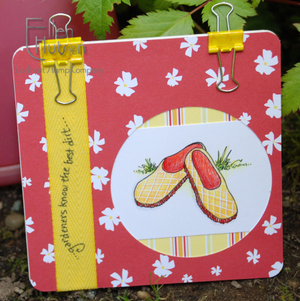 As you can see in the picture below our garden is almost ready to reward us with some of these delicious little treats - so in honor of the delicious berries growing outside I have selected the Strawberries stamp to be the June Stamp of the Month. 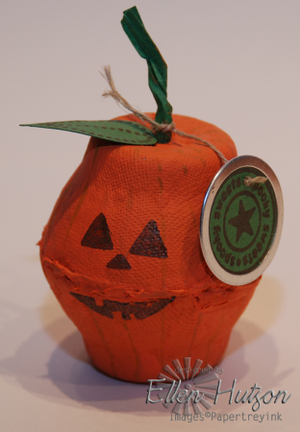 Enclosed in the packet this month are supplies to create this little treasure. Tomorrow is my DD's dance recital and it has been ubber busy around here playing make-up artist and providing taxi service - LOL! 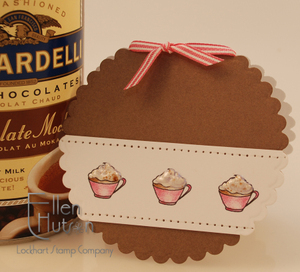 I hope to be back with project how-to's, as well as more inspiration and information for the awesome Lockhart Stamp Company recipe card contest. Karen has posted pictures of the DELICIOUS prize that awaits some lucky entrant. So don't forget to send in your recipe card pronto!!! Jessica asked yesterday how I apply flock to open images. So I set about to make this cute little pup. First I color my image and then thanks to MJ (my new helper) she saved me from myself!!! I pulled out my Versamarker and Heat n' Stick - YIKES - what was I thinking?!? QUICKIE GLUE PEN all the way ladies!!! Color in the opening with glue and then apply flock (this is the Caramel Latte Tan - why do they put names on these that make me hungry?!? Don't they know it's usually my bedtime when I'm writing these and these names just make me crave a caramel latte? ), press down and tap off excess. Project complete :D Easy, peasy! Isn't he cute?!? I quickly completed the card - nothing special here. 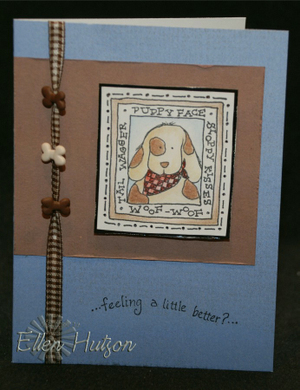 Just a little ribbon and some cute little bone buttons and a greeting that I thought was perfect with this little guy. Puppy kisses always make my little one feel better. I think I'll save this card for her for one of the days she needs a little pick me up. THANK YOU Malin for saving a lengthy round about excursion to such a simple process! I experimented with a couple of different techniques first to get the ladies dressed properly. First I tried stamping the red wings and following it up with the black body and dots, I then tried my stamp-a-ma-jig, at last I tried a technique that Debbie Olson had tried which was stamping the body first and following it up with the red wings. I did find that eyeballing it and stamping the wings first/body last worked best for me, but it is worth while practicing on a piece of scratch paper to figure out what works best for you. 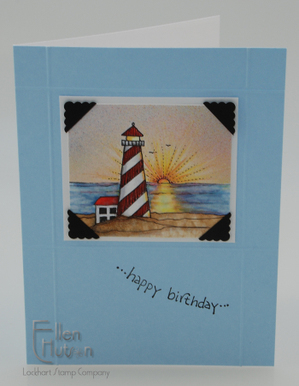 The beauty of two-step stamping is definitely enhanced or made easier by being able to see right through your image. 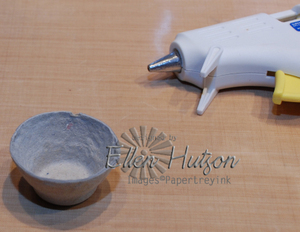 It is SO much easier then any other two-step stamping I have ever done. Once the stamping was completed I heat set it being that I didn't want to risk making the ink bleed and then erased the lines with my kneaded rubber eraser. There were a number of ways that I tried to draw your eye to the one special little lady - the most obvious is the twinkle stickers and the different antennae. The sentiment was set off with some piercing and the sentiment "Little Things" was masked and stamped inside. So if you too love lady bugs, you had better run (don't walk!) over to Paper Trey Ink and snap up one of these awesome sets. The other designers shared some awesome ideas as well - it is easy to see past the basic shape and turn this little treasure in to so many other forms - we have tulips, dresses, apples, and balloons - what other ideas do you have? This post has been a long time in coming. I thought I would share it now, knowing that the 15th is rapidly approaching and that means another brand spankin' new set that you are all going to go gaga over!!! Can I just say CUTE! stinkin' CUTE!!! 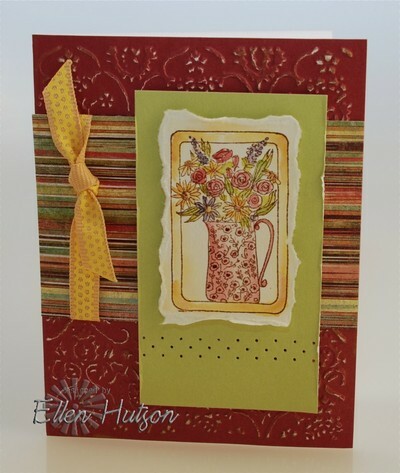 OK, back to project in hand - this card was created with last month's Paper Trey Ink release "Faux Ribbon". This set has so many different ways that it can be utilized. I love the ribbon ideas that were shared, but also wanted to showcase how you could make your own backgrounds as well. The other thing that I wanted to explore was how well acrylic stamps worked on a more grainy, textured paper. Well of course as you can see I give them a HUGE thumbs up. Not only did they stamp well, but it allowed me to really get my stripes in exactly the position I wanted. Due to the texture of the paper I decided to use Colorbox Chalk ink and was very pleased with the covereage. As you can see with the orange stripe on the left side one does need to be careful to get even ink coverage on the stamp first, otherwise you end up with the ink pad prints on your paper. But that has nothing to do with function - only inexperience. I created a mask using Eclipse strips and then stamped my design starting with the largest width working to narrowest. My next little "experiment" started with the greeting I wanted to use. I LOVE the size of the greetings in this set. I selected one that would fit the scale of the large Bazzill brad being that I wanted to put the greeting in the center of the silk flower. I sunk the brad into a foam base that I had to hold it stable so that I could stamp on it. Inked my image with Palette Landscape and stamped my brad. To ensure that the ink would not get rubbed off I heat set it and then dipped it in fine clear embossing powder and then heat set again. I'm totally diggin' the large embossed brad. 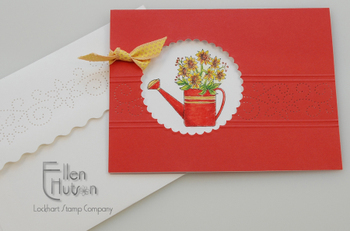 I hope it inspires you to grab for unusual items to stamp on and use for your greetings. 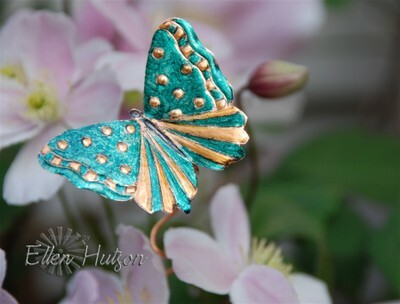 The next step to this project was the silk flower. (OK - this poor little thing is kind of bedraggled, but it was the closest thing I had in my goodie box to the size I needed.) Being that I selected bright sunny colors I wanted to bring the large yellow silk daisy closer to the colors of my project. Deciding to take a chance with my new copic markers I experimented and WOOHOO - it worked!!! As you can see I selected a fairly intense orange (YR07 Cadmium Orange). 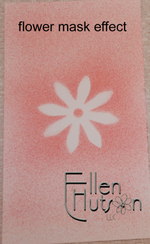 I inked the edges with the marker and then used the Colorless Blender to bleed the color up the flower petal. Being that I wanted it a little more intense I did it a second time. This is the point that I remembered to take a picture - sorry I didn't get an earlier one. I also inked from the center out even though I knew it would be covered by the brad - yep - I used ever little increment of this flower to experiment with :D So what I am saying is that with Copic markers you can EASILY alter the color of silk flowers, silk fabric, and many other fabric surfaces. 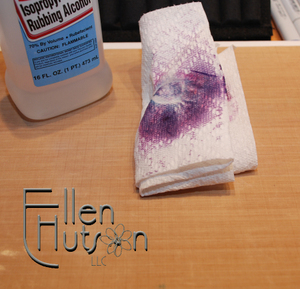 Quilters use these markers to alter their fabric colors and create custom fabrics and colors. How COOL is that!?!?! ETA: Thank you to all who have shared your stories here already. To read these and see the love, admiration and for many the loss - my heart is full. Thank you again for touching my life. This little piece of artwork was created especially for you! Today I took this pretty little piece of artwork back over to Karen's house and had her add her signature to it, (I'll try and update this picture tomorrow with the final version :D). 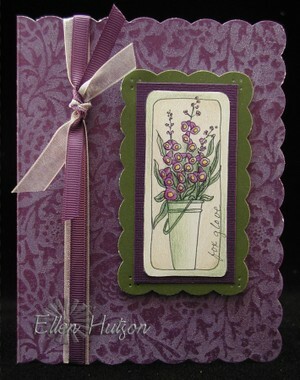 This is just another way that you can utilize this awesome Flowers in Chintz stamp. The one thing that I love about Karen's style is that each little stamp is like a little work of art. All I have to do is color it with pencils, markers or watercolors and put it in a frame as Karen has here and I am at the ready with a beautiful and thoughtful gift that will be prized by the recipient. 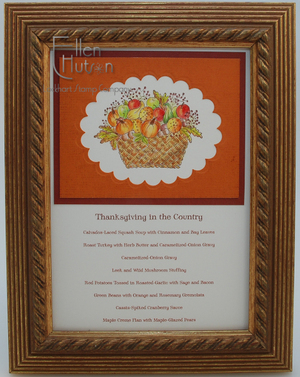 You could also place it in a large frame with a large mat surrounding it to give it even more of a presence. 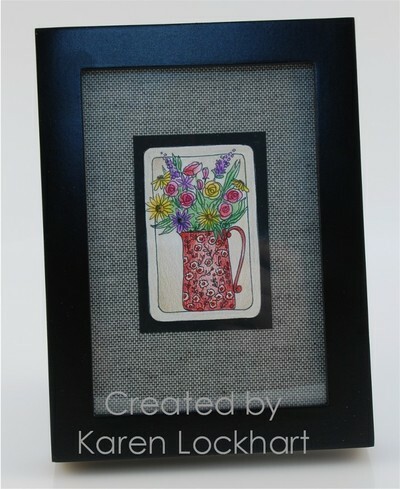 To enter in this special giveaway for this Karen Lockhart original all you have to do is tell us one thing special about your mom and then add what type of gift you typically create for your mom for mother's day. Is it a card, is it a set of cards, is it a piece of jewelry, is it something scrapbook related, is it a framed piece - what is it? And if you have been ubber busy and need to hand pick something instead of creating it, please share your ideas here as well for other's in case they need inspiration. Share any details that might be helpful to others. Let's see how many ideas we can gather in one place. You will also find an update on my webstore in regards to the Stamp of the Month. I have compiled a little packet of goodies that is a really great value. 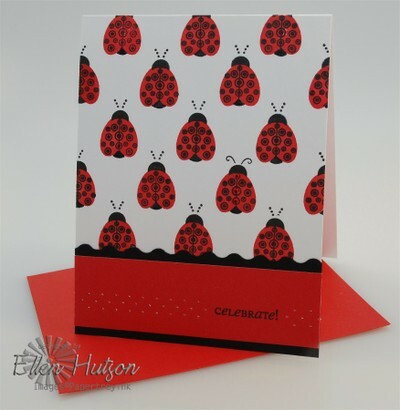 You can either purchase it and make the cards yourself, or give the packet to a special someone in your life who also enjoys creating using rubber stamps. All you need to add is your own ink, or the Palette ink pad (I used the Burnt Umber for my example project), color pencils or watercolors, and an embellishment or two. Thanks for stopping by and please join in the fun in celebrating your mom! 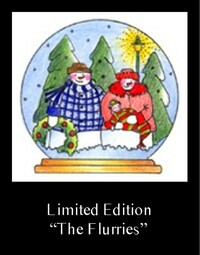 Introducing "Stamp of the Month"
There are so many fabulous images in the Lockhart stamp line. What I am hoping to do is select a different image each month and show you some different ways that one stamp can be used. During it's feature month it will be 20% off the retail price. 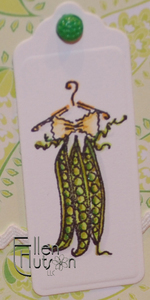 I will have some special items that I will bring in to coordinate with this stamp as well. These items will also have a special promotional price for the month that they are featured. SO tonight I would like to introduce you to the image that I have selected as this month's special "Stamp of the Month" - Lockhart's Flowers in Chintz. The Memory Box cardstock is a white core paper and therefore when I use it with my Cuttlebug folders I get the immediate distressing - easy, peasy. This was followed by a swipe of my Encore Gold ink pad to add a hint of gold to the raised surface. I also ran my fingernail down the edge of the Meadow cardstock - by doing this it allows a hint of white to peek through. So here you have my first little experiment - it certainly can use some finessing (notice the lack of antennae - way too excited to even remember such subtle details :D), but at least I hope it inspires you to start thinking outside the box with these gorgeous little creatures. 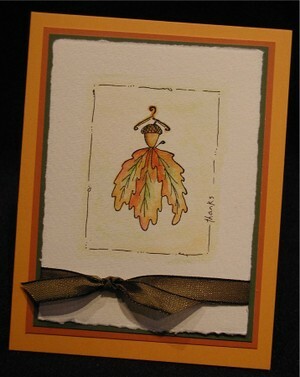 First I stamped on this awesome metal (I used the copper sheeting) using Brilliance black ink. I heat set it before continuing (be certain to use your tweezers to hold the metal because it gets HOT! - hmmm - how do you think I know the answer to that little problem? 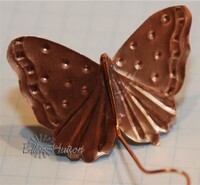 :D) Using simple little scissors I then cut out the butterfly - it is surprising how easily this metal cuts. I then took my small point embossing stylus and outlined the image. This was followed up by turning the image over and using the different sized ball ends to finish adding detail to the image. I really like these little stylus, first because they are ergonomic and therefore my fingers don't get as tired while holding these and using them. Secondly because there are six different sized ball tips starting with a VERY fine point. The next step is the one that I was SO curious as to whether it would work. I was tickled pink with the results! The Copic Markers work beautifully to color the metal!!! I certainly need a little more practice to get it down, but woohoo - it's a start ladies! If you do not have any alcohol ink markers I am thinking that Sharpies would work as well and they come in a lot of delightful colors now as well. So tell me - genius, or what!?! LOL!!! Have fun making your own little garden stakes. Wouldn't they be darling to give to your mom's for Mother's Day? She could even put them into an indoor houseplant :D Have fun and please share your versions with me when you make some!